This is a tutorial where you can make your Own EXE Setup file of your Own. You can add as much number of Files you want and make an EXE File and send it to any friend so that he can extract and use the Application. 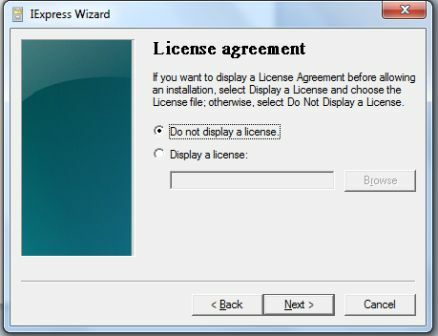 You can create a Setup.exe and distibute Games, Software, Images and anything you want in a Single Executable file , rather than sending in Multiple File Formats. Here I want to Show Step by Step Tutorial of Making your own EXE file Easily. 1. 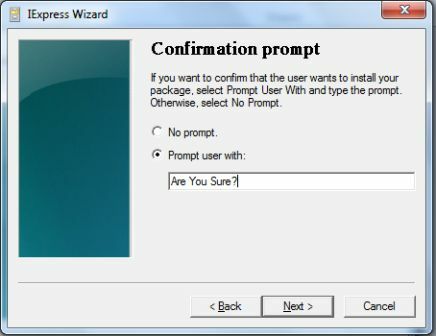 Navigate to the “Start” menu and select “Run.” Type “iexpress” (without quotes) and click “OK.” The IExpress Wizard will appear. 2. Select the “Create new Self Extraction Directive file” radio button and click “Next.” The Package Purpose dialog opens. 3. 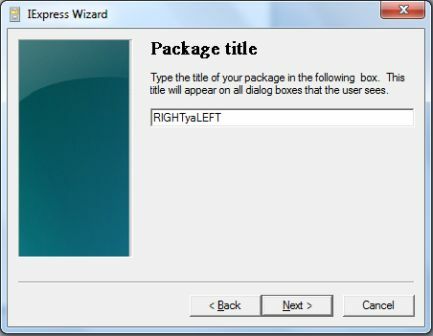 Select the “Extract files and run an installation command” radio button to create a package that will install a program after it extracts its files, or select “Extract files only” to create a package that simply compresses its contents. Click “Next.” The “Package Title” dialog opens. 4. Type in a title of the package into the text box. This will display the title on every dialog box the user sees when she extracts files from your Setup file. Click “Next.” The Confirmation Prompt displays. 8. Select an installation program from the drop-down menu that appears if you selected to run an installation command and then click “Next.” Otherwise, skip this step. 12. Leave the default options selected in the “Configure restart” screen if you chose to use an installation command, then click “Next.” Otherwise, skip this step. 14. Click “Next” on the “Create package” screen to create your Setup.exe file. Click “Finish” to close the IExpress Wizard. Finally you are your Own EXE is done . Save it and send it to your Friends to Exteact the Files inside it.